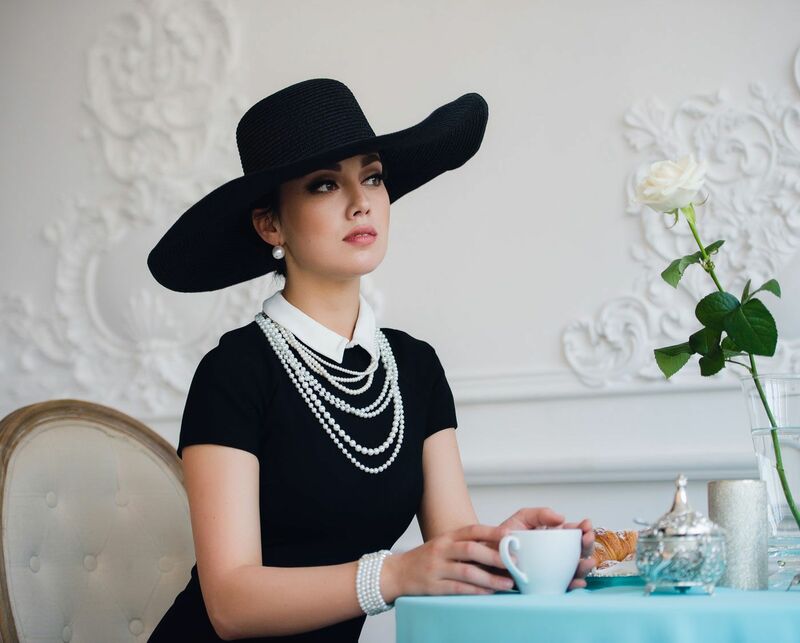 hen considering aesthetic surgery, your outcome and recovery depend on choosing the most experienced, credentialed, and skilled physician possible. 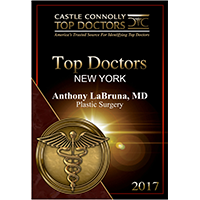 Anthony N. LaBruna M.D., F.A.C.S., is a board-certified plastic surgeon who has been providing cosmetic and reconstructive surgery as well as non-surgical aesthetic procedures in the New York City area for more than 14 years. As Featured in Top Plastic Surgeons - Consumer Research Council of America As Director of Manhattan Plastic Surgery, a full-service, private outpatient surgical center, Dr. LaBruna offers a comprehensive range of cosmetic procedures to enhance the face and body, including laser resurfacing, rhinoplasty, breast and eyelid surgery, facelifts, body contouring and more. Dr. LaBruna achieves beautiful, natural-looking results with the quickest recovery possible, and he wants prospective patients to be active, informed participants in every procedure he oversees. n award-winning, internationally recognized clinician, teacher, and leader in the field of plastic and reconstructive surgery, Anthony N. LaBruna M.D. LaBruna M.D., F.A.C.S., is Director of Manhattan Plastic Surgery and holds dual academic appointments as Clinical Associate Professor in the departments of Otolaryngology and Plastic Surgery at Weill Cornell Medical College. He was recently selected by Castle Connolly Medical Ltd. for inclusion in its prestigious guide of the nation's top 1% of medical specialists as one of America's Top Doctors. Dr. LaBruna is the Chief Medical Officer at The Center for Specialty Care. He served as the Director of Facial Plastic Surgery at Weill Cornell Medical College for the Department of Otolaryngology for over ten years. He is board-certified in both Plastic and Reconstructive surgery as well as Otolaryngology. Dr. LaBruna has lectured both nationally and internationally on cosmetic surgery and reconstructive surgery. He has served on the Otolaryngology Board of National Examiners as an examiner for board certification. Dr. LaBruna also has served as task member to develop questions for the National Board of Medical Examiners for Plastic Surgery exams. He is an Honorary Police and Fire Surgeon who has received honors from Commissioners Kelly and Scopetta. Dr. LaBruna is widely quoted in the media and has been interviewed on national television. 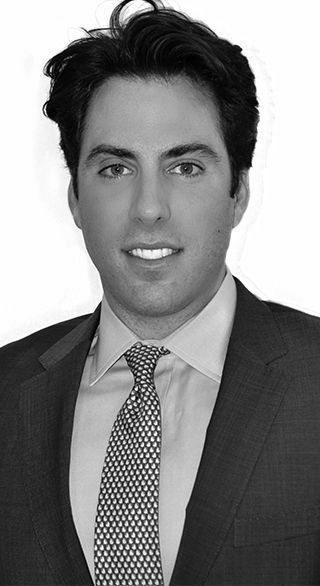 r. Jordan Terner is a board eligible plastic surgeon who specializes in aesthetic surgery of the face, breast, and body. 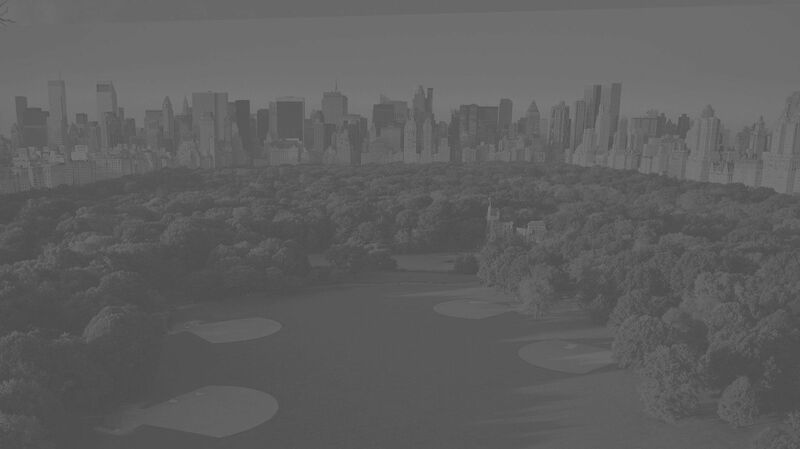 Dr. Terner, a New York City native, trained in plastic surgery at the coveted Montefiore Medical Center/Albert Einstein College of Medicine in the highly competitive combined plastic and reconstructive surgery program. Prior to that, Dr. Terner was accepted into the Humanities and Medicine early admission program at the Mount Sinai College of Medicine. While there, he was chosen to be a Doris Duke clinical research fellow and participated in a two year program at the Yale University Division of Plastic and Reconstructive. He published widely in the plastic surgery literature and spoke nationally and internationally in various subjects of plastic and reconstructive surgery. Dr. Terner also attended Cornell University and was selected for the prestigious College Scholars program where he studied biological mechanisms of physical attractiveness. During his training, Dr. Terner has travelled internationally on various surgical missions to Africa and Central America. Prior to that, Dr. Terner was accepted into the Humanities and Medicine early admission program at the Mount Sinai College of Medicine. While there, he was chosen to be a Doris Duke clinical research fellow and participated in a two year program at the Yale University Division of Plastic and Reconstructive. He published widely in the plastic surgery literature and spoke nationally and internationally in various subjects of plastic and reconstructive surgery. Dr. Terner also attended Cornell University and was selected for the prestigious College Scholars program where he studied biological mechanisms of physical attractiveness. During his training, Dr. Terner has traveled internationally on various surgical missions to Africa and Central America. have known Dr.LaBuna for a few years and have sent him so many of my clients, all of whom look amazing after. They all tell me how he took such good individual care of them. He's First Class in his field!